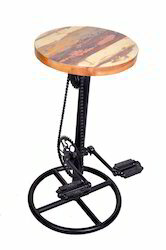 Industrial Furniture Reclaimed Rustic Coffee Table With Wheel. Cafe Furniture, Coffee Shop Furniture, Coffee Table For Leather Sofa. Industrial furniture is offered customization of products are possible.